Love play kitchens but hate how much room they take up? This beauty can be set up or taken down in a matter of minutes. 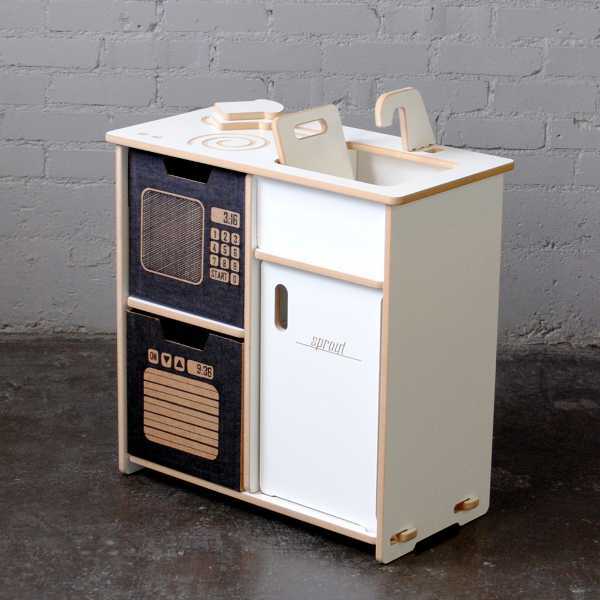 My boys have a lovely play kitchen made by their grandfather. It’s one of those toys that, every now and again, will hold their attention for quite an extended time. Play kitchens can always feel like new again if you add a few different kitchen utensils or pieces of play fruit and veg. But truth be told, they take up a large chunk of a play area, particularly when children are so transient when it comes to toys! 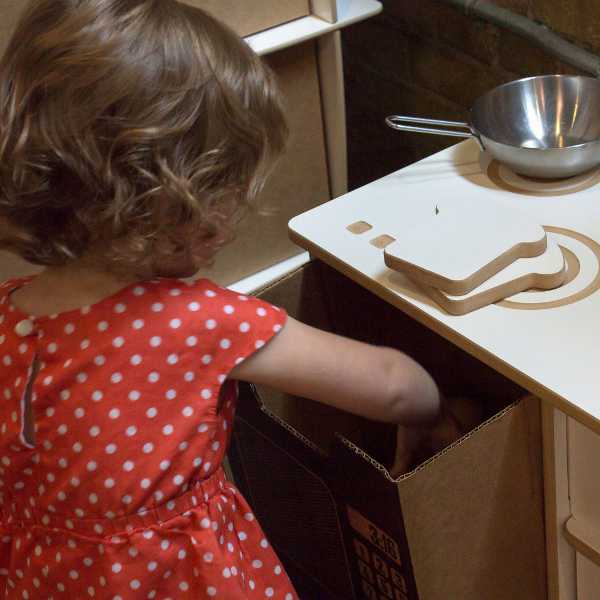 So I love the idea of a compact play kitchen that can be brought out when other toys have been exhausted, and then put away again so it remains as a fresh, new toy down the track. 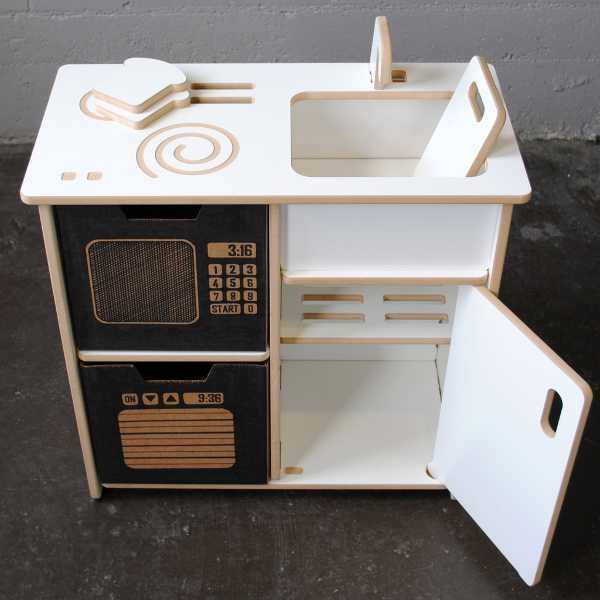 The Sprout Kids’ Play Kitchen has the usual play kitchen favourites: a sink, burners, oven, built in storage and microwave. 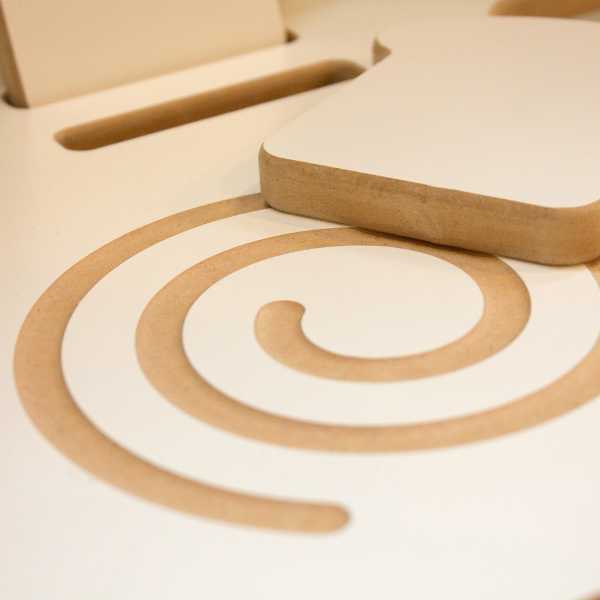 And not only does it assemble and disassemble easily, it stores flat – so can be kept under a bed. There is no need for tools to put the kitchen together, it has Tension Lock Technology which uses the natural properties of wood to create a durable joint. The kitchens are made from medium density fibreboard and covered with melamine facing. They also come in a heap of colours, and have a sleek, modern look. 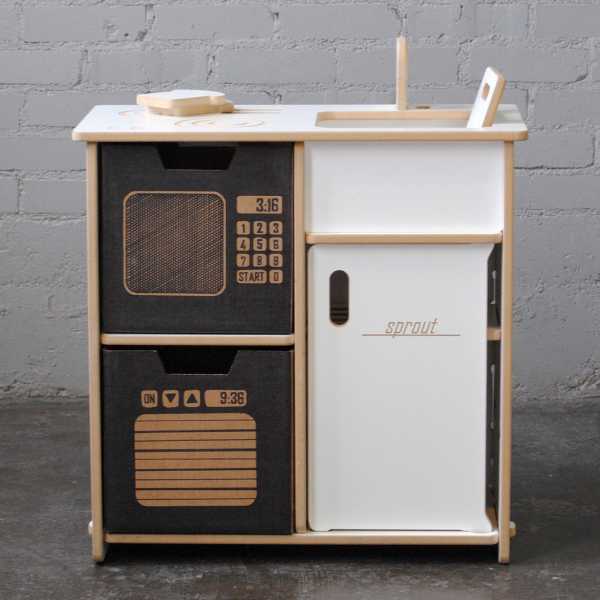 The kitchen is available directly from Sprout for US$135, and you’ll have to contact Sprout directly about shipping to Australia. Locally, Zanui has a great selection of Sprout products.